Can all flowers smell good? no chance at all. Some flowers may look beautiful, but you will definitely hold your nose when you get closer to them. Because some flowers stink to attract pollinating insects like carrion flies. That is to attract pollinating insects that lay eggs in rotting materials. The followings are 10 worst smelling flowers in the world. It is a velvet colored rod shaped flowers that native to Mediterranean regions. The flower is famous for its rotten flesh like smell. This plant is named after famous Greek botanist Pedanius Dioscorides. It blooms in spring season. 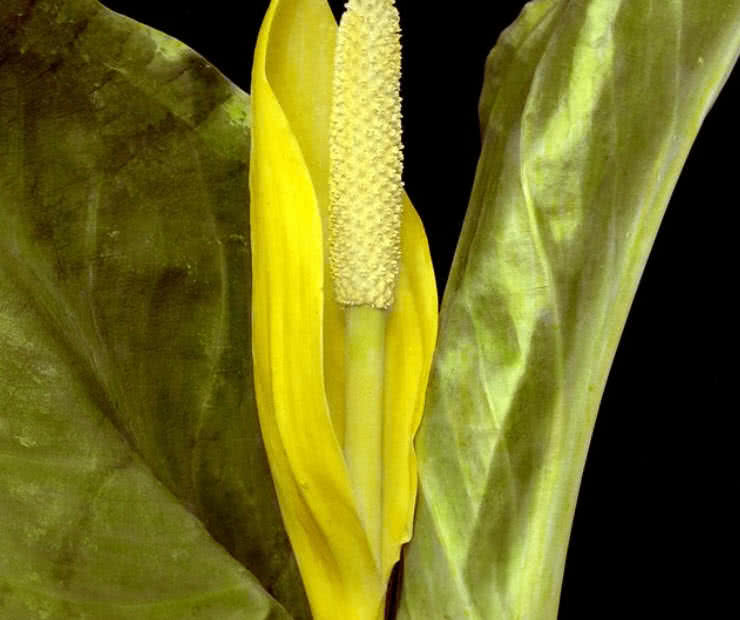 The strong, unpleasant smell of arum discoridis attracts pollinators. The Western skunk cabbage is named after the skunky smell produce by its flowers. This plant grows in swamps and woodlands of Alaska, California, Idaho, Washington, Montana and Oregon. 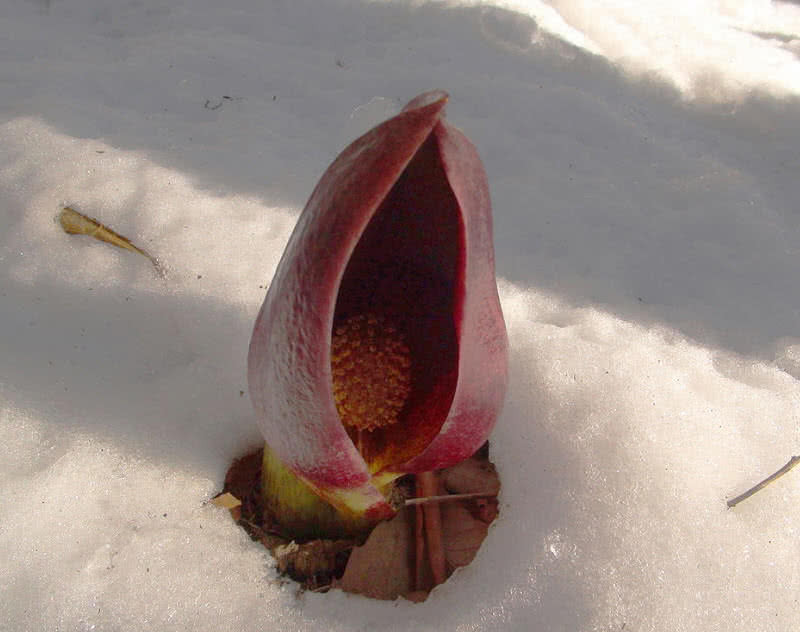 The Western skunk cabbage bloom in early spring and winter. The rod shaped flowers have bright yellow color. They grow to a height of 40 cm. The skunky smell of this plant attracts scavenging flies as pollinators. Like the Western skunk cabbage the Eastern skunk cabbage has also derived its name from its ‘skunky’ smell. The plant grows in swampy, wet soil across North America and Asia. The Western skunk cabbage bloom in spring. At first a shell-like part of the plant called ‘spathe’ comes out of the ground before the leaves. It is brownish-purple in color and can grow up to a size of 4-6 inches. It produce a strong, unpleasant smell and attracts pollinators like bees and butterflies. 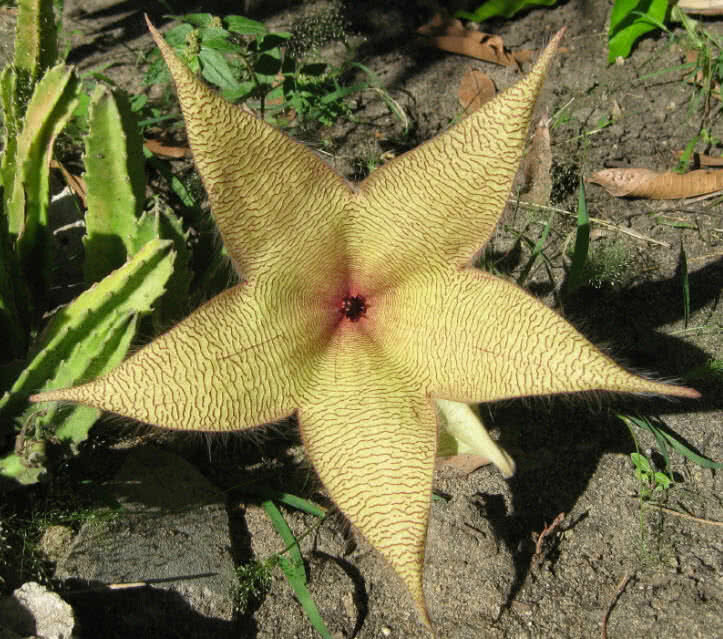 Stapelia gigantea is a beautiful carrion flower that smells like rotten flesh. The starry pale yellow colored flowers resemble starfish. It is also called as African starfish, grows in tropical regions of Southeastern Africa. The distinctive shape and rotten flesh like smell attracts pollinating insects. The plant blooms in mind-summer. 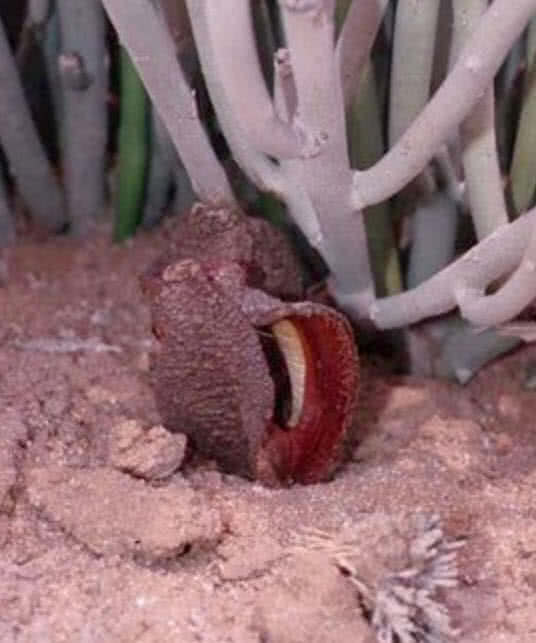 The unpleasant smell of stapelia giganteas is very intense and can be recognized from long distances. The dragon arum is an impressive plant that found in rocky and hilly areas of the Mediterranean basin. 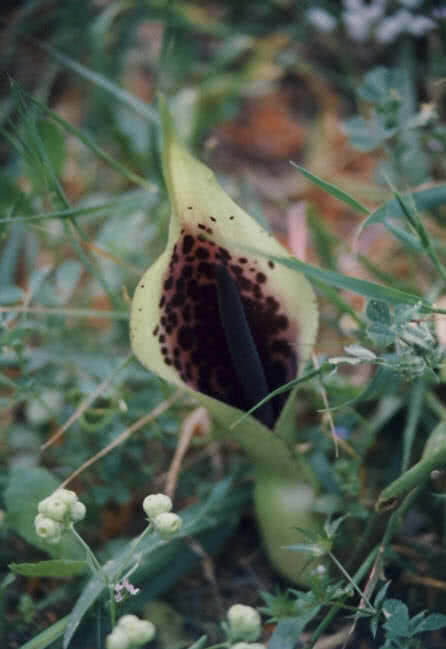 The plant is also known as black arum, snake lily, dragonwort, stink lily and vondoo lily. The plant grows to a height of 1 meter. 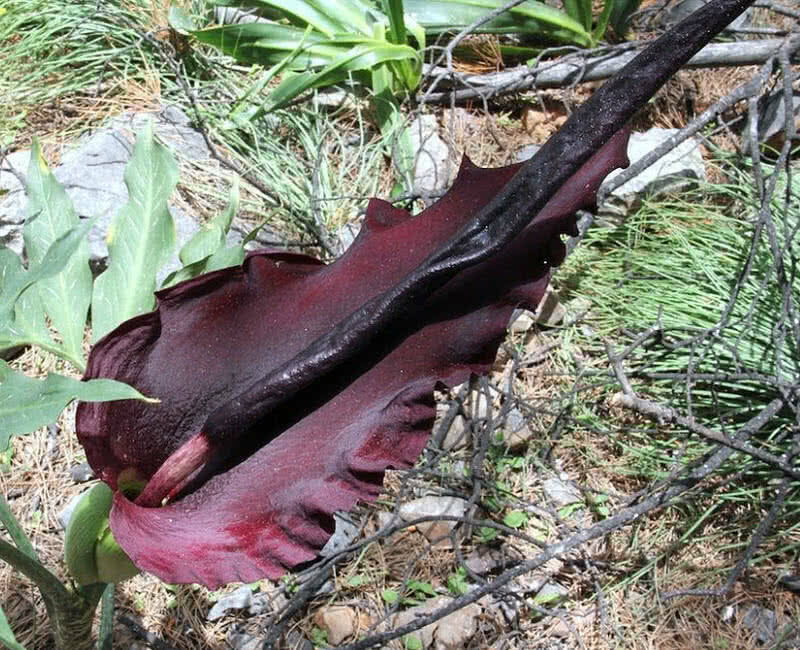 The large, showy, maroon-purple flower appear in late spring. The flower can be 80 cm in length. But this beautiful flower smells like a rotting meat and it attracts pollinating insects. The flower also has a long tail like spike. 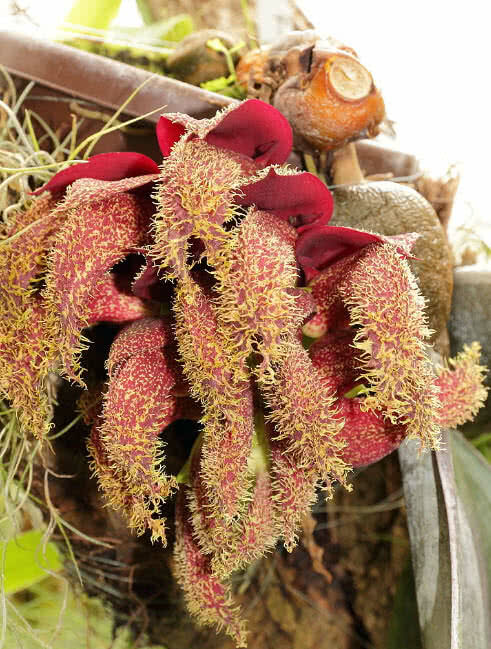 The Bulbophyllum Phalaenopsis is the worst smelling orchid in the world. It is native to New Guinea island. Its fragrance as as worst as rotting meat. The bulbophyllum phalaenopsis is one of largest orchids in the world and bloom year around. The hairy, pinkish-red flowers app eras in clusters. In addition to the intense, unpleasant smell this orchid is also known for its long leaves, can reach up to a length of 4 feet. The carob tree is a medium-sized evergreen tree that grows in warm and subtropical regions around the world. The name ‘carob’ refers to the edible fruit of the tree. 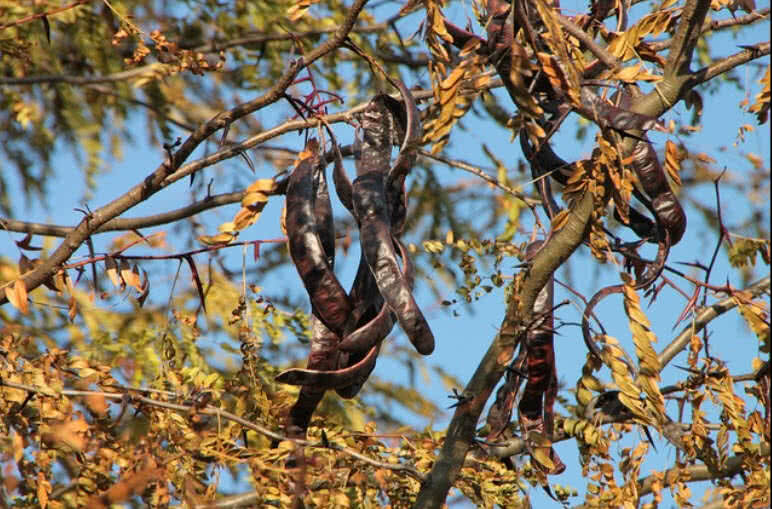 The carob pod contains many nutrients such as Vitamin A, B2, B3, magnesium, calcium and iron. Even though the fruits are nutritious and flowers of carob tree smell like sperm. The small spirally arranged flowers appear in autumn. The male and female flowers appear on different trees. It is the male flowers that produce worst sperm like smell on bloom. Hydrona Africana is an unusual parasite plant native to Southern Africa. The plant grows underground and only the flower can see above the ground. The plant is parasitic on Euphorbia plants. The Hydrona Africana flower is tubular and three thick openings. The outer part of the flower is brown and the inner part is bright orange. The Hydrona Africana has a fragrance like feces. This unpleasant smell attracts dung beetles and carrion beetles for pollination. The Rafflesia arnoldii is the largest individual flower in the world. This parasitic plant can only found in rainforests of Sumatra and Borneo. It is a leafless and rootless plant. The Rafflesia arnoldii is known for its strong decaying flesh like smell. This plant is also known as ‘corpse flower’ because of its worst smell. One Rafflesia arnoldii can be 1 meter diameter and 11 kg in weight. 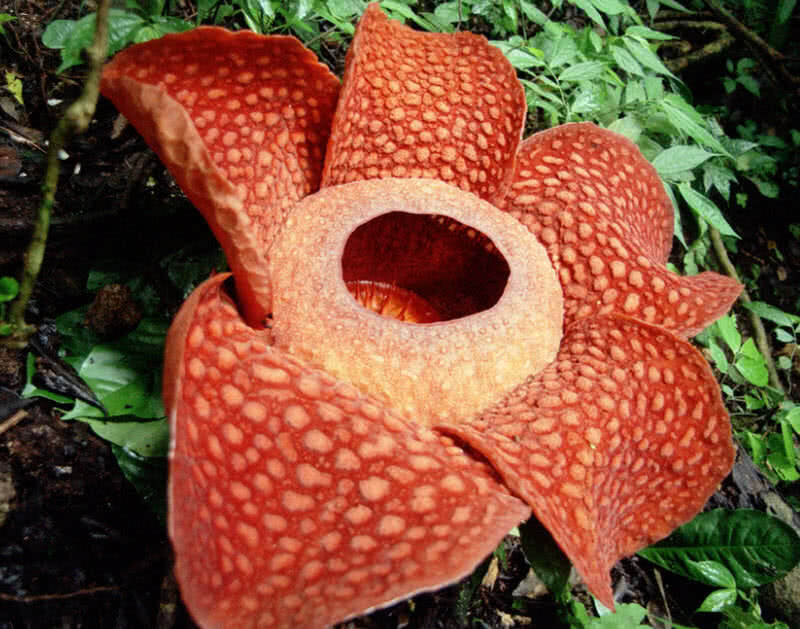 The worst smell of Rafflesia arnoldii attracts carrion flies for pollination. The Rafflesia arnoldii is a rare species and it is very difficult to spot. The large flower has five petals that come in red with white marks. Unlike other plants the Rafflesia arnoldii has no chlorophyll. So that the plant can’t perform photosynthesis. It parasite on tetrastigma plants. 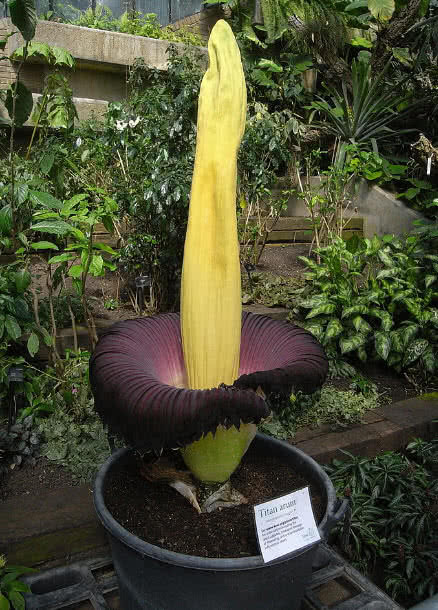 The titan arum of corpse flower is the worst smelling flower in the world. The flower produces strong, horrible smell of decaying meat. The name ‘corpse flower’ derived from its strong, unpleasant smell. 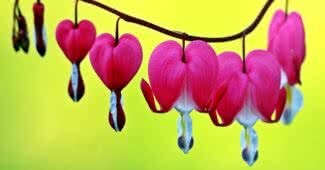 It is a very rare flower, bloom only for two, three days and reappear only after years. Corpse flower is also the largest unbranched inflorescence in the world. One corpse flowers can be 3 meters in height. The corpse flower has a large bract and a long spike inside it. The intense, unpleasant smell of the flower comes from its spike. The bract of corpse flower has two different colors – deep green on outside and dark red on inside. The large corpse flowers bloom in just a couple of hours. The foul smell of the flower last for 12 hours. The intense smell of the plant also attracts pollinators like carrion flies.